Deer Park Golf Course's signature hole will see some changes in the future. East-central Saskatchewan’s largest trading centre isn’t leading the way in just shopping for Yorkton visitors, Deer Park Golf Course continues to be a key driver in the city’s tourism and recreation stats. Deer Park has hosted every Golf Saskatchewan moderated championship within the last two decades including the men’s amateur. Golf operations manager Allan Sauser has been involved in all the championships. 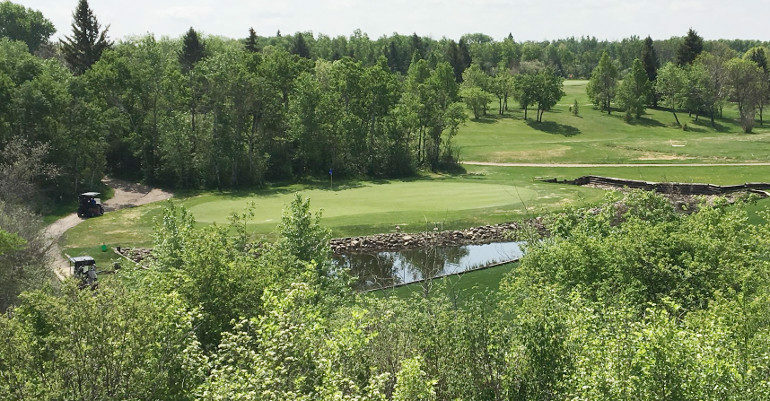 One of the province’s elite courses is known for hole eight, an elevated 100-yard, par three gem recognized by locals and visitors. Sauser is proud of their signature hole but water issues over three of the last four years during profitable weeks need to be addressed. He said changes are coming. “With the new design I believe hole eight will be the new signature hole again. You will oversee hole 10 and 12 when you are on new hole eight, it’s going to be a fantastic hole. It’s sad to see it go but it’s more about drainage issues than us wanting to change a hole,” Sauser told Golf Saskatchewan. Deer Park is one of the oldest courses in the province. Sauser said junior golf numbers are optimistic along with overall players at the 18-hole course. Sauser said the season has treated their course well. “We’re seeing a real good year because of being in great shape. All the courses depend on weather and we’ve been really lucky,” he said. Deer Park has been in the provincial spotlight of late, Saskatchewan amateur men’s champion Kade Johnson and 12-year-old phenom Ella Kozak both call Deer Park their home course. Sauser has worked with both up and comers. He said there are similarities between the two talented athletes. 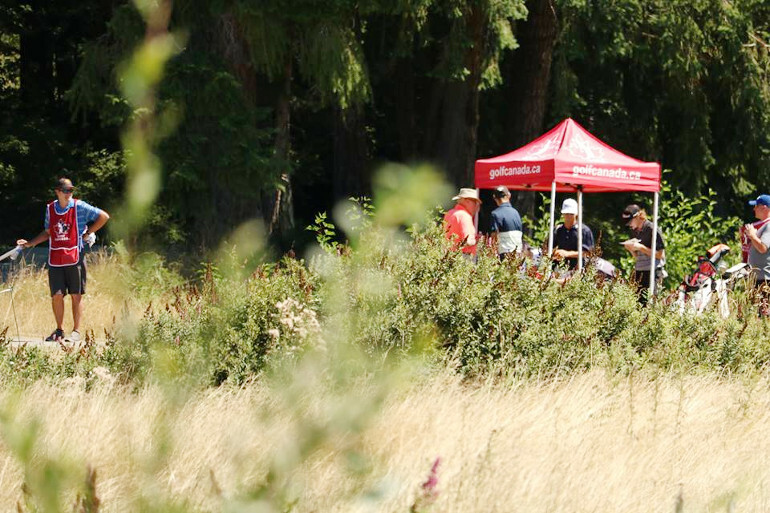 Johnson is currently tied for 42nd at the 114th Canadian Men’s Amateur Championship. Kozak is winding down her busy summer on the course. She took part in the Saskatchewan Women’s Amateur Championship in June earning a spot on the national team. Kozak finished second to Brooklin Fry in the junior girl’s tournament, also booking a Canadian championship birth. Kozak finished well back of the leaders in the events but Sauser said the experiences are unmeasurable. “For someone her age to make both the women’s and junior’s championships, the future is only bright for her,” he said. Deer Park will celebrate their 100th year next summer. Celebration details will be announced in the future.